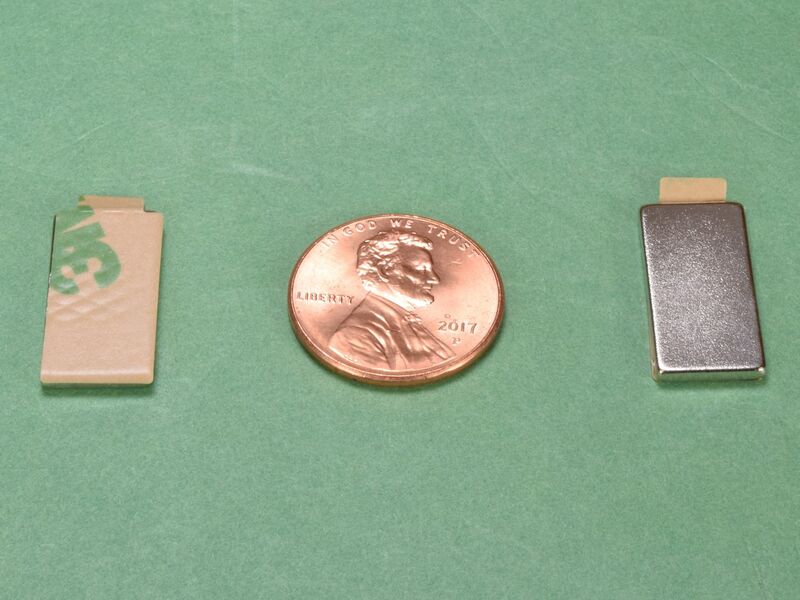 These magnets are like our popular BC61 block magnet, but with a pre-applied, 3M 467MP adhesive on one side. The adhesive backer has a handy tab which makes removal much easier. 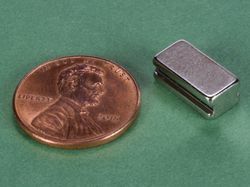 Sold in matched pairs, the adhesive is on the north pole of one magnet and on the south pole of the other. 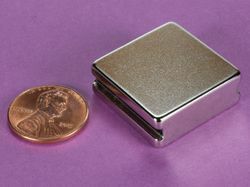 These magnets are priced and sold in 10 packs, consisting of 10 pairs of magnets. An order quantity of 1 is equal to 10 pairs of magnets, or 20 total magnets. 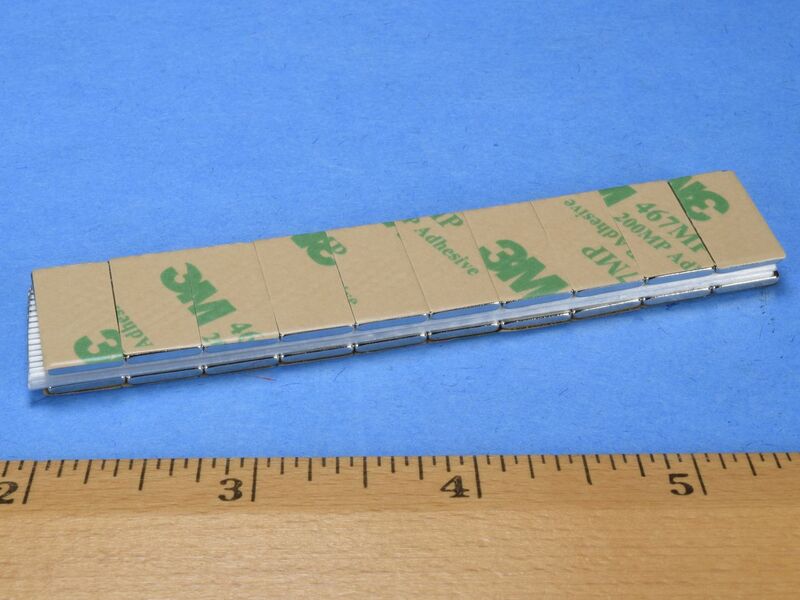 An order quantity of 2 provides 20 pairs of magnets, or 40 total magnets. These easy to apply magnets are often used for magnetic closures on folders, book covers, boxes, presentation materials and other printed items. Also great for hanging art on a wall or hanging a poster! To obtain maximum adhesion, surfaces should be flat, dry, and free of contaminants. Surface contact is essential to adhesive performance. See the material datasheet for further application instructions. While the adhesive is strong, it may not stick well to certain surfaces.